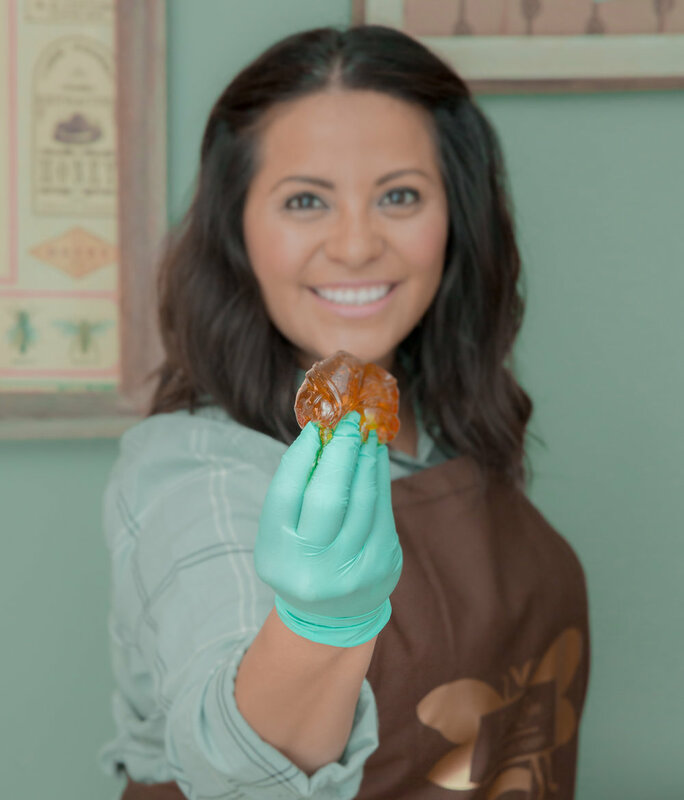 Body Sugaring uses a gloved hand to apply the sugar paste and a flicking motion of the hand to remove it. Done correctly there should be less discomfort during the process than waxing and absolutely no chance of being burned. Body Sugaring is a form of hair removal that removes the hair from the follicle in the natural direction of hair growth using a sugar paste. The sugar paste is all natural made of sugar, lemon and water and has a consistency of taffy. Wonder what the differences between traditional waxing and sugaring are? Check out our blog post. BEES (Ladies) - Check out our memberships here! How do I prepare for Sugaring? Come to your appointment with clean skin. Avoid lotions or oil prior to sugaring, avoid exfoliating 3 days prior to your appointment. The sugar needs your dead skin cells to remove the hair properly. For the best experience we recommend at least one week of hair growth, but the more hair the better! What do I do post Sugaring? Moisturize daily with a natural moisturizer. Do not exfoliate at all for the first 3 days after your treatment. After the first 3 days, it is safe to exfoliate every 2-3 days.